The Dean’s Arts Council, the Trevor School, and the Dean’s Office announce the launch of a new initiative spotlighting and supporting specific targeted areas in CTSA’s four academic departments, and in the Trevor School in general, central to building on the School’s strengths and moving to the next level as we re-imagine creativity for the twenty-first century. Establishment of the Next-Gen Fabrication and Exhibition Fund, supporting sculpture, photography, digital film, and other digital arts. Recent additions to faculty, new developments in technology, and establishment of a minor in Digital Filmmaking have poised the Art department at the threshold of its next level of fabricating and exhibiting artwork, requiring a significant upgrade in facilities, equipment, and staffing. Formation and development of the Donald McKayle Fund, supporting dance production and the ongoing advisory work of Dance legend Donald McKayle. The legacy of Donald McKayle’s work as a choreographer and teacher has been central to the Dance department’s development. The McKayle Fund will allow for choreographic projects, enhancement of facilities, and visiting artists to continue to develop the department’s research and presentation roles, and to expand its ability to engage with new technologies and alternative performance modalities. Development of the Clayton Garrison Fund for Production, focusing on Drama’s design, research, and production needs. Named for CTSA’s inaugural Dean, Clayton Garrison, the Fund will support Drama department design faculty and students’ award winning level of design research and production. Funding support for the purchase of a new concert-quality piano for Winifred Smith Hall. This acquisition is long overdue and can only succeed through a concerted and targeted capital drive. 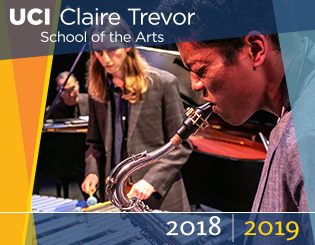 CTSA will create a new category of scholarship opportunities, the Dean’s Arts Council Scholarships, funded annually through the Dean’s Office on the basis of qualifications to be determined by the DAC. This monthly series will bring presenters of interest from around the world to UCI for short (1-3 day) visits during which they will give a presentation and be available for activities in the School and beyond. The initiative will focus on selection, acquisition, and maintenance of public art in CTSA and campus wide. Focus will initially be on mural art and sculpture, and will be expanded into other media with time.